While I associate Norfolk with relaxation, endless views and fresh vegetables, Suffolk struck me as a deeply peaceful place - with equally wonderful veg! This is a county of narrow lanes and small roads, wonderful for exploring on tandem. It's a place of long shingle beaches and plentiful fish, of small cheerful towns, pretty churches and much unspoiled nature. It's also a place where history runs deep ... until it is finally claimed by the sea. And while this is true for many places along the coast, the sadness of it struck me most standing on the beach at Aldeburgh, where the Medieval Moot Hall - once the centre of town - now sits close to the edge of the shingle. And looking at the wonderful sites and buildings that are left, you wonder what other amazing things might have been there had you arrived earlier. (Several centuries earlier, in fact.) Maybe that's why this county has so many lovingly kept churches and sanctuaries for anything living, be they plants or animals or people. It's also the county that inspired the work of painters like Constable and Gainsborough and - more recently - was home to the composer Benjamin Britten. And while the music festivals at Aldeburgh and Snape pull in the concert goers, other visitors spend their holidays exploring Constable country or sitting by a stream or the seaside with sketchbooks and paints. Whatever your favourite holiday pastime may be - painting, cycling, walking, sightseeing, birdwatching or shopping - you'll find the peace and space to indulge yourself in this most peaceful of counties. And the food is just outstanding. We didn't find any really posh restaurants, but pubs and cafes offer truly stunning fare. 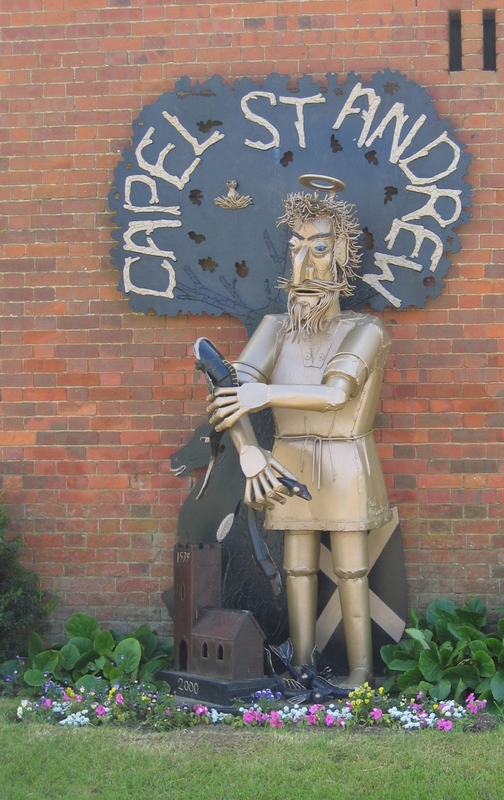 If you're self-catering, make sure you check out the farm shops along the road and the farmer's markets. Apart from fresh local fruit and vegetables, you can also find some interesting local cheeses and even locally grown wine! 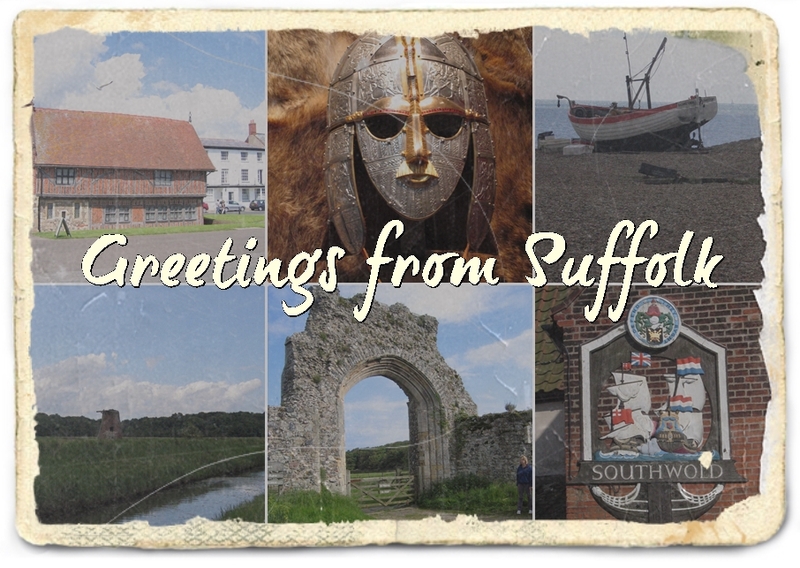 If you love Anglo-Saxon history then this is the place for you. 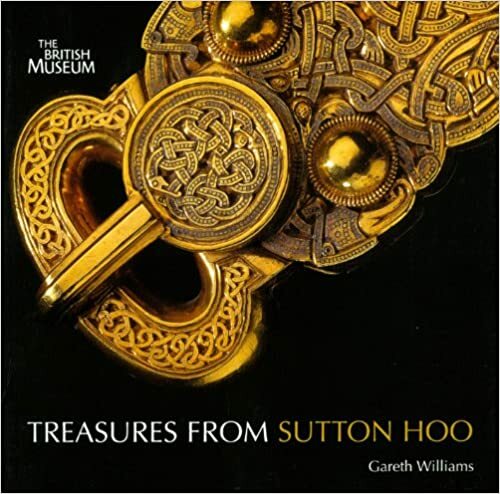 This county's greatest Anglo-Saxon treasure is really that: a treasure; a 7th century boat burial, thought to be that of Raedwald, the King of East Anglia, found at Sutton Hoo near Woodbridge. 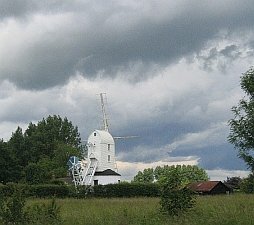 In the centuries following Raedwald's burial, South Elmham became a focus of early Christianity, which prevailed even after the East Anglian King Edmund was martyred for his faith. Entombed in Bury St Edmunds, the martyred king was England's patron saint until he was replaced by St George in the 13th century. After the Norman Conquest, large tracts of East Anglia fell under the rule of Roger Bigod, 1st Earl of Norfolk. Intent to hold what he had won, he built himself a castle at Framlingham - one that still dominates the skyline of that busy market town. Similar strongholds rose at Clare, Bungay, Dunwich, Walton and Eye ... even though not as much remains of these for us to admire. 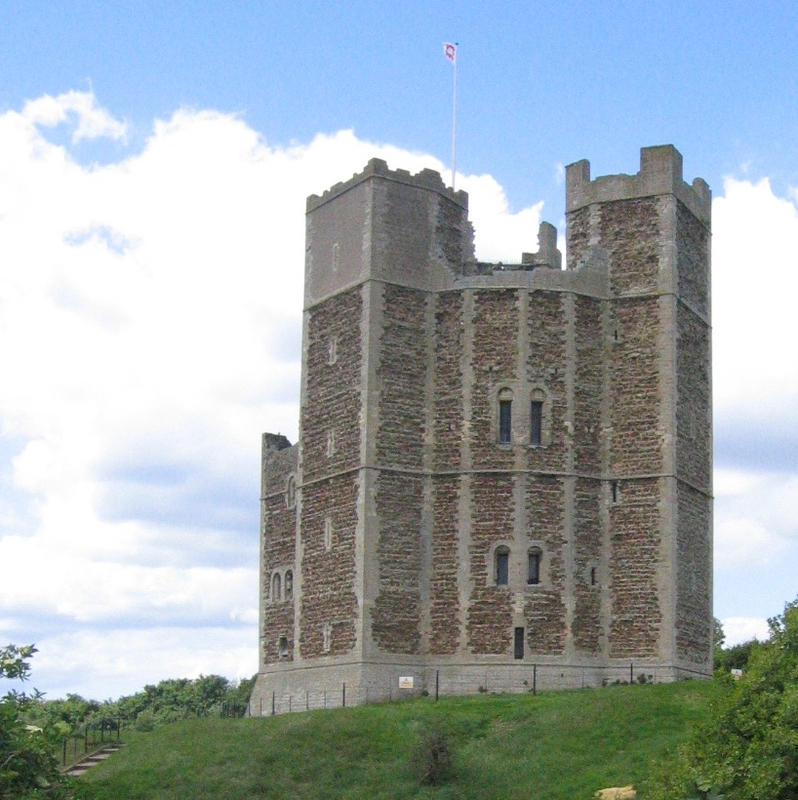 King Henry II built the county's other great surviving castle - Orford - to keep Roger Bigod's descendants in check. A beautiful triangular keep on a steep mound, Orford Castle looks out across Orford harbour towards Orford Ness.The medieval wool trade brought industry and prosperity to the county as towns like Lavenham, Bury St Edmunds, Aldeburgh and Long Melford attest. You can also find beautiful churches and abbeys here, with my favourites being Blythburgh, Bury St Edmunds and Butley Priory. It's Framlingham Castle that comes to mind when considering the county's Tudor history. It was here that Mary, eldest daughter of King Henry VIII, heard of her father's death and raised her standard before marching to London to claim England's throne.The wool town of Lavenham also has its share of Tudor architecture to admire, but it is the village of Long Melford, that gives us the best glimpse into the 1500s. Kentwell Manor - a moated Tudor mansion - is well- known for its living history displays which bring the days of the Tudors vividly to life. Across the village green lies Melford Hall where Queen Elizabeth I was once lavishly entertained. 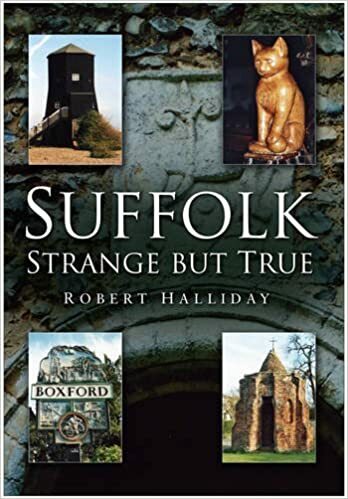 Even though the county's wool-derived wealth and trade with the continent slowly declined after the Middle Ages, progress did not bypass Suffolk altogether. Felixstowe is one of Europe's largest container ports and responsible for a large part of all goods arriving in England from abroad, while Newmarket, close to the border with Cambridgeshire, is England's horse racing capital and home of the National Stud, Tattersall's and the Horse racing Museum. 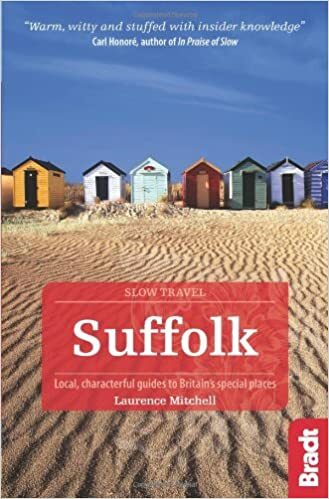 In this section you'll find portraits of Suffolk places. It matters little if they're large or small, busy or quiet. If they promise an enjoyable day out, we'll include them. 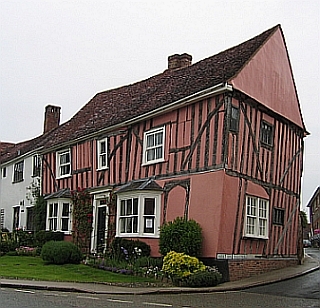 Bungay, busy and charming, cheerfully catering for the crowds intent to explore the Broads. Orford has a beautiful angular shell keep dating back to the reign of King Henry II and a quaint little harbour. Plenty of things to see and do in this area. The lanes are wonderful for cycling, you can take to a boat on the Broads around Bungay, there are endless beaches to meander along and town, villages and nature reserves to explore. But it also has some rather unique things to marvel over. Could you imagine going out of your way to inspect a water tower? No? When you're visiting East Anglia, where the water towers are true works of art, you might want to re-think that approach. 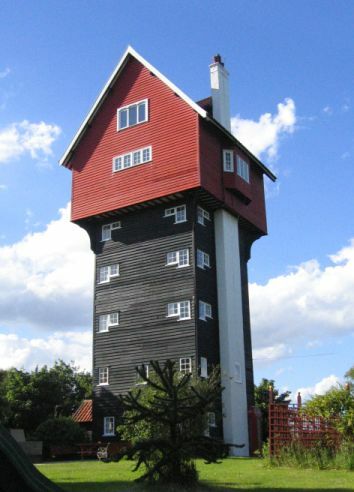 The most famous of all of Suffolk's water towers is of course the House in the Clouds, but it's by no means the only one. The county also has some of the prettiest churches I've so far come across in England. They'll first strike you with their unusual looks - especially the round towers, but you may find them equally intriguing on the inside. Return to the Essentially England home page.